DADS, Inc. - A Maine non-profit educational corporation, in good standing. Dads, Inc.! Downeast Alternative Design Solar, is a non-profit, Ed. Corp. Maine, with IRS tax exempt status (donations to DADS, Inc. are tax deductable). We'll initiate a membership program asap! Southern deck ﻿view, Indian River Bay, Jonesport Solar Home, Downeast Solar Center. To contact do-yourself-solar technologies, and DADS, please follow the easy instructions below and on previous pages. You may send email or phone. We will have directions available for the different locations of seminars, meetings and community centers as they become relevant. You may use the optional form below for ease of contact. This is a preliminary page and will be up-dated as necessary. Non-Profit Solar Community Land-trust development now available. We are here for an effort to secure a future for our Grandchildren ... ! SEADS (Solar Energy Awareness & Demonstration Seminars) and the community in Washington County, Maine ... the 'Sunrise County' ... need your support to help establish the re-birth of the Solar Community Land-trust at the 60 acre property in Columbia, Maine ! This renewed effort, since the property is now fully owned and paid for, by the non-profit educational corporation SEADS of Truth, will evolve with the ideas of families and individuals, interested in a future, for the children of the community and the world ! ﻿We look for your interest and communication on this page 'contact us' section below ... Thank you ! This link to our Solar Community Land-trust fundraising site is still active for the interesting, relevant articles we want to share with you. This section is available for directions and updates for seminars and to allow a presentation of do-yourself-solar, and Downeast Alternative Design Solar. An early morning view east, from the MESEA Solar Home, Jonesport, ME ... Washington Co., the 'Sunrise County' ... Sept, 2013. 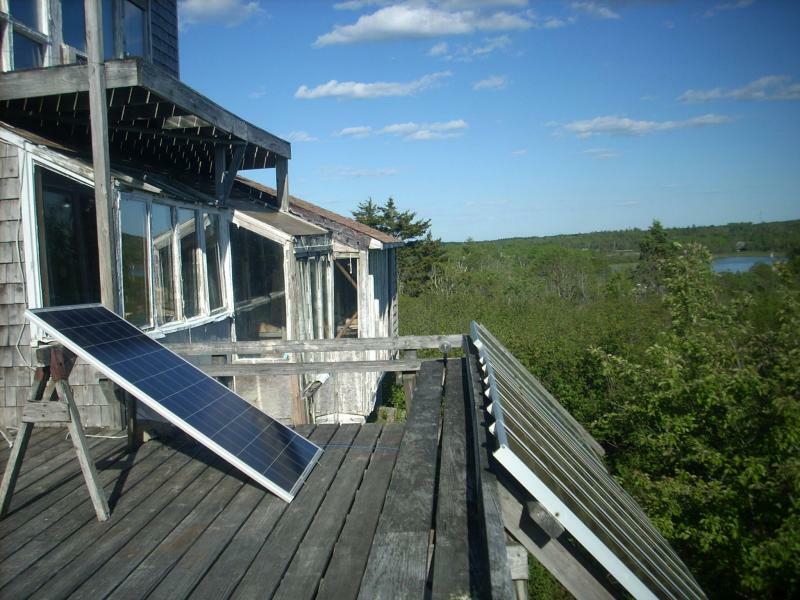 A view west from the south deck, MESEA Solar Home, Jonesport, Maine, sunset, overlooking the Indian River Bay, 2012. Participants apply liquid silicon onto soldered PV strings, in place and ready for encapsulation process. Glass is placed on fresh liquid silicon. Weight is applied to glass and gentle pressure allows excess air to escape during encapsulation of 65 w module at humble farm PV assembly workshop. May '08 PV workshop participants remove encapsulated 65w module after curing. This module is now ready for the final wiring and framing at humble farm. Back of PV module showing placement of strings in series connection. The module is ready for final wiring, at humble farm PV assembly workshop, May '08. PV workshop participants solder finished wiring on 65w module before framing, humble farm, May '08. John and Soni solder copper pipes for humble farm do-yourself-solar hot water thermal panel - Sept. 2008. Soni Biehl, solders copper pipe during hot water panel workshop, Hiram, Maine, 2009. 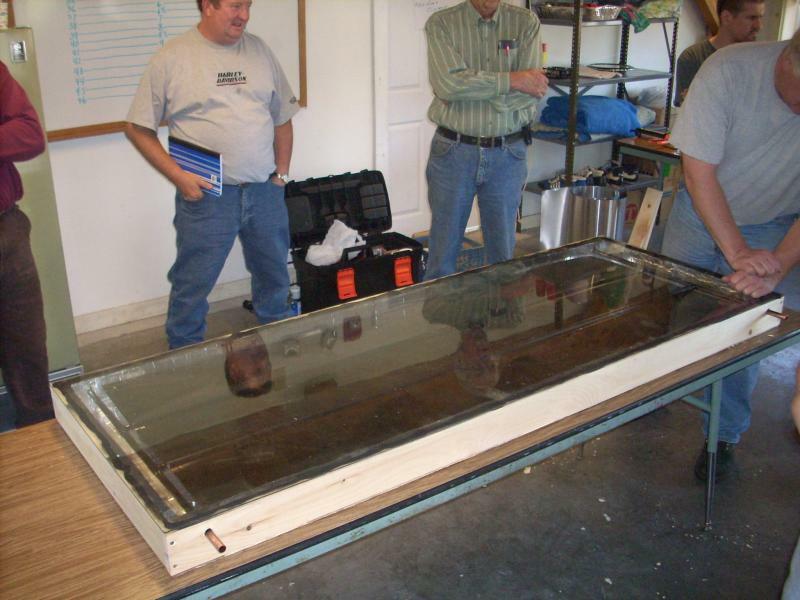 Participants apply glass top on hot water thermal panel, Hiram, Maine, 2009. Workshop participants solder first PV strings for 65W module to be assembled at the April 4, 2009 PV workshop at MESEA Solar Home - Jonesport, Maine. Rich Komp shows interested participants how strings of PV cells will be laid down for encapsulation. The Bridgton, Maine - May 2009 PV Workshop. 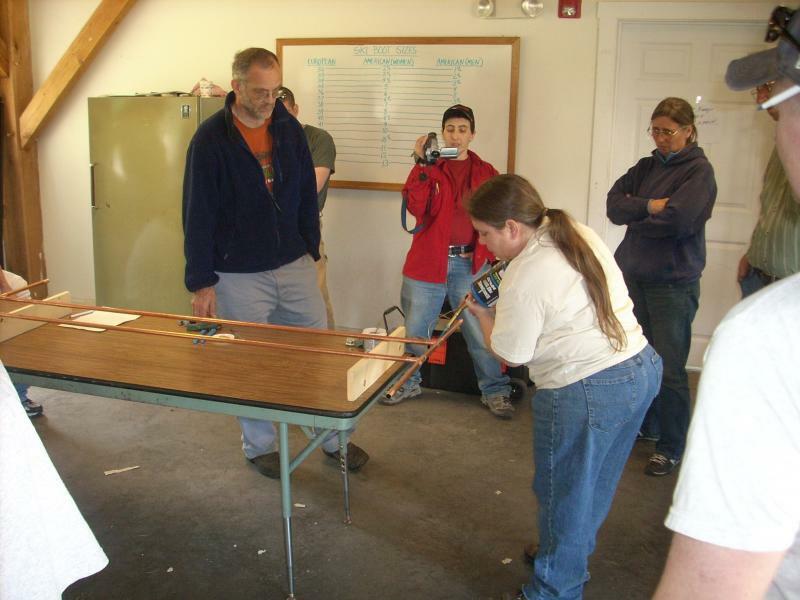 Bridgton, Maine PV assembly workshop, May 2009. 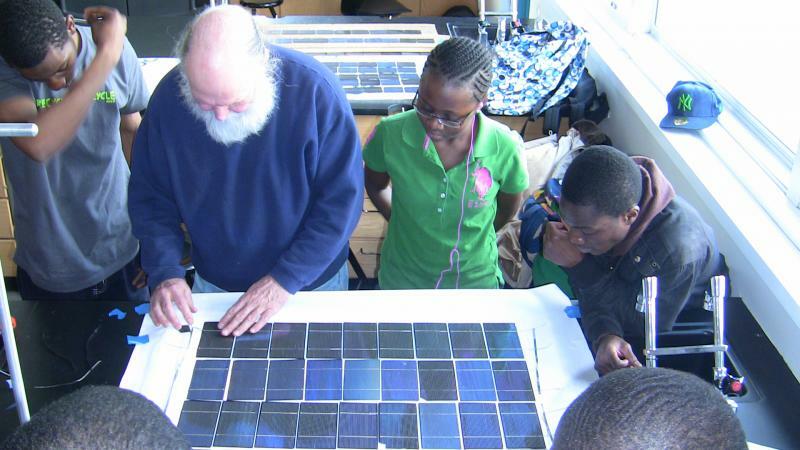 Enthusiastic participants test the 65W PV module, before the final wiring and framing. Manhattan Comprehensive HS, PV workshop Series, June, 2009, New York City. 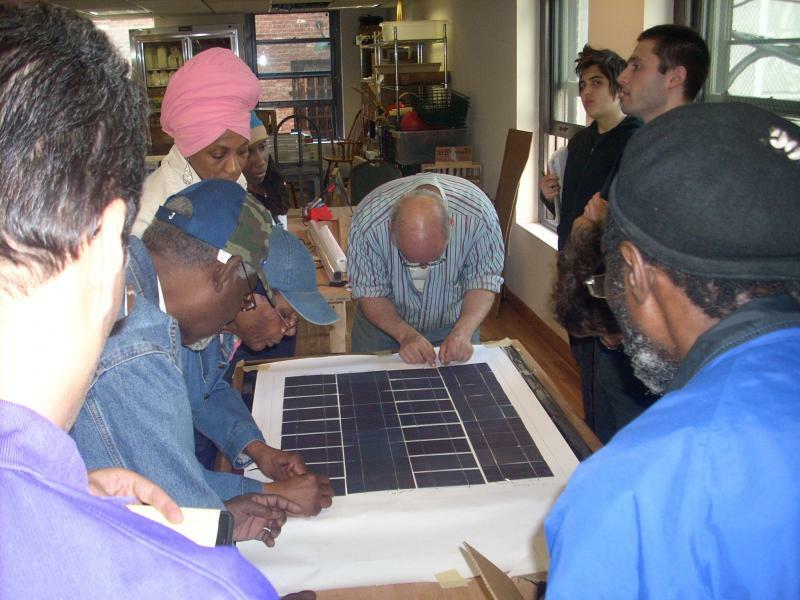 Diverse student group assembles PV module framing with MESEA - dadsolar facilitator John Burke - June 2009 - NYC. Final wiring of 65W PV module at NYC HS program, held in conjunction with community group - Solar1. Dr. Komp pours silicone encapsulant mix onto PV cell strings, with engineering students -U. Dayton, OH, 2009. Dadsolar workshop facilitator, John Burke, applying tempered glass to 65W PV module cells, U. Dayton, OH, 2009. Students at the Manhattan Comprehensive HS, NYC, help John Burke of dadsolar and MESEA, March 2011, during the encapsulation process at PV assembly workshop. 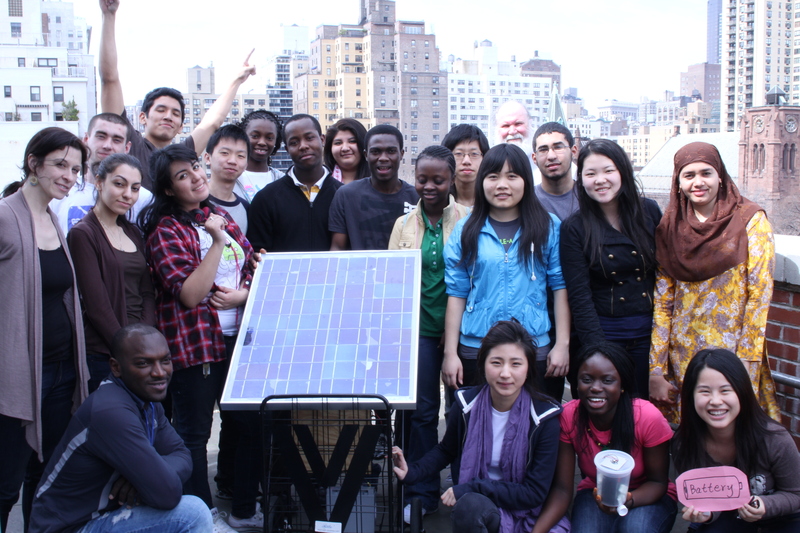 Full group of students and teachers show off the completed 65W PV module, assembled with dadsolar, MESEA and Solar1, at Manhattan Comprehensive HS, NYC, during March, 2011 PV assembly series. Sixth year at the Manhattan Comprehensive HS, NYC, MESEA and DADS work with the student group from around the world, assembling solar cells for the 65 W PV module. ... March, 2014. Here a few students work to solder the solar cells into the strings of 9 cells for the 4 x 9, 36 cell, 65W PV module. Students prepare a frame for final assembly, after wiring the module. The junction box and wires will be added last. We check the output of the popular, small, 6W cell phone charger, before checking the 65W module. The students enjoy working with solar cells and MESEA! Manhattan Comprehensive HS, New York City, March, 2014. John Burke, DADSolar. Members of Downeast Alternative Design Solar (DADS), pose for photo with Environmental Certificate, presented in October, 2010. Now with IRS tax exempt status, (donations are tax deductable) ... contact us soon, thanks ! (Rich Komp, Jerry Blackburn, Walther Wefel and John Burke, L - R, at Downeast Museum of Natural History, Harrington, ME). 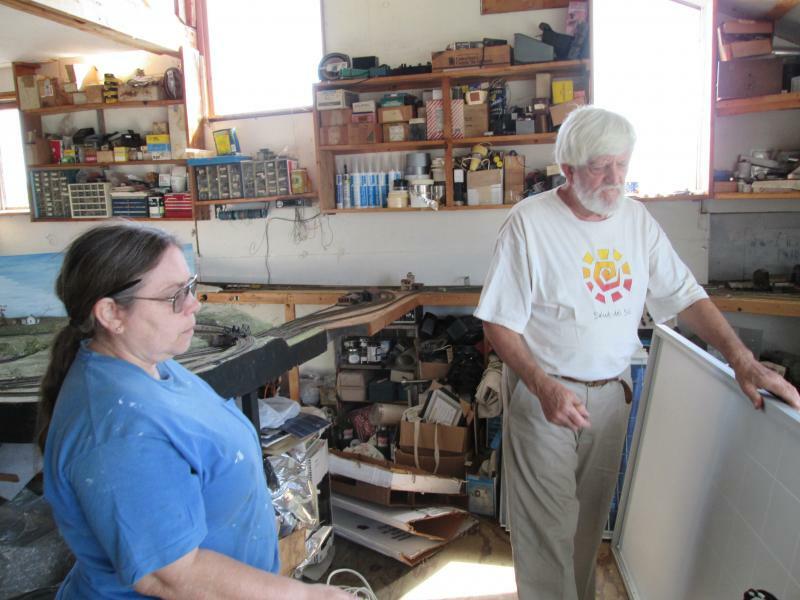 Rich Komp and Soni Biehl, working on the 'new' PV / Thermal Hybrid innovation, Jonesport, Maine 2015. A hand-made, 65 W PV module made by folks with little skills as a first attempt at soldering solar cells. 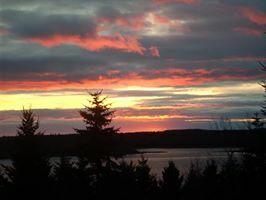 Sunset, Maine Coast, looking south from Jonesport Solar Home, Indian River Bay, Fall, 2016 ! African Baobab trees are dying ! The old Baobabs are 1100 - 2500 years, and a dozen of the ancient ones have died, from Climate issues (drought). The iconic trees are the biggest and longest-living flowering tree, and are extremely hard to kill ! We the People can take action to save all living things on our Earth ... and end the fossil fuel addiction ! The view east from the south deck of the Downeast Solar Center, Jonesport, Maine. Solar PVpowers the solar home, built by Dr Richard Komp in the 1980s. We need to 're-build' the home to become the Komp Memorial Library & low-tech Solar Museum. We will continue to perfect the methods of inserting archival flyers, photos and drawings of DADS projects, demonstrations and memorabilia. Please bear with us while we reach for perfection. The map service listed here below, may or may not have correct information ... please ask for detailed directions from a real live human being ...solar powered of course ! See 'below' for message and 'contact' - through email, thanks. 65w PV module frame caulking, at humble farm, May '08. GO SOLAR ! ... 2019 ! 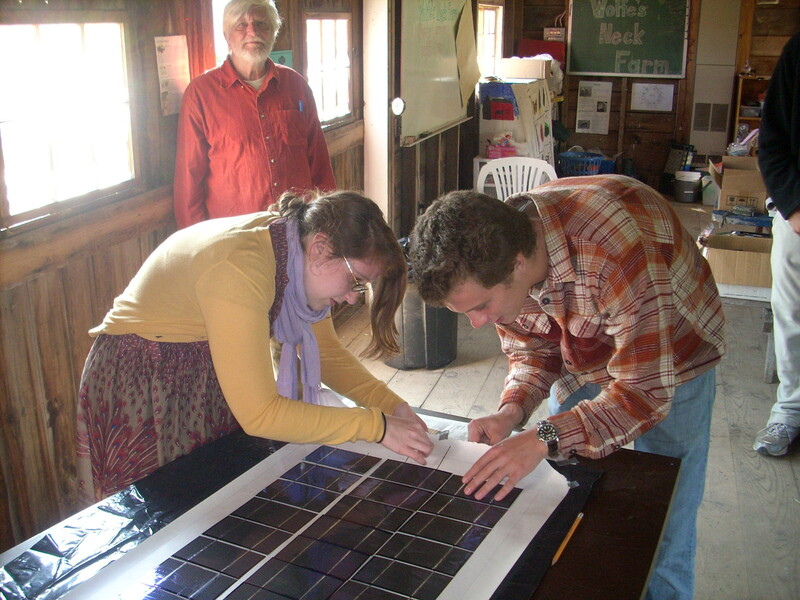 Look here : for info and updates on Spring 2019 Solar Workshops! One day or all four days, ﻿each participant will get 'hands-on' experience in every step of the PV assembly process, with the group! @$50 / day, lunch included, call 207-546-1639 for further info and reservations (required). A limited # of participants, call and reserve asap ! 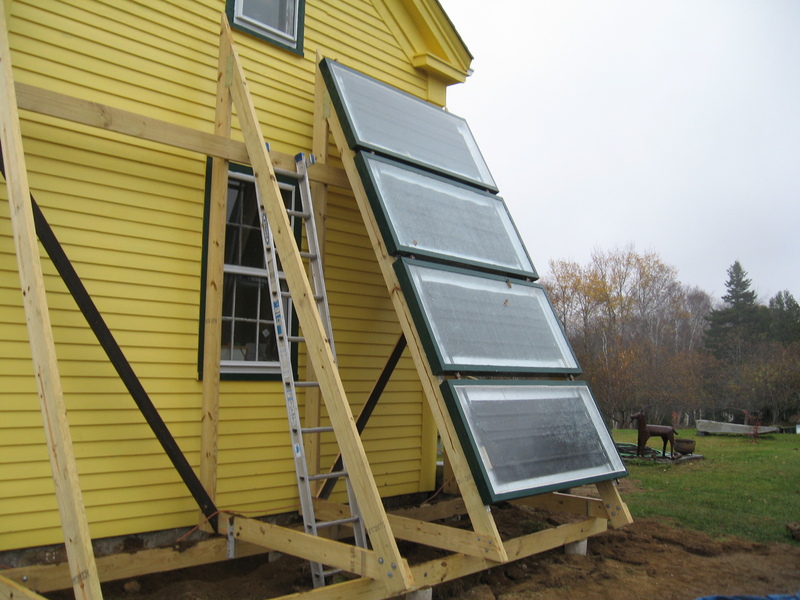 Winter & Spring 2019, On-Going rebuild effort at SEADS Solar Seminar Center, and Camp, Columbia, Maine. "To Work On Whart's Been Spoied" ... This is for You and a Future ! Call John ... 207-546-1639 to confirm and save spaces ! Here, the group discusses the 'off-grid' PV installation at Carols home, Cambridge, Maine. MESEA and DADSolar ... August, 2016. Fine tuning the homemade rack, attached with a rope to the old pine tree. The small 130W 'rated' PV system, will allow the homeowner a 12V lighting option for her home and lower her CMP bills! Having lights during power outage, will be a definite advantage! Cambridge, ME, August, 2016 ... with MESEA and DADSolar! Please check MESEA seminar calendar at www.mainesolar.org for up to date info on PV and solar thermal workshops you and your family can participate in. Assemble 65w PV Modules with liquid Si encapsulation, using locally available materials and full power, recycled blemished solar PV cells! MESEA & DADS, will offer more PV assembly and Solar Thermal workshops. Learn how to assemble your own Photovoltaic module for producing electricity. Richard Komp has pioneered PV module production as a cottage industry in Nicaragua, Mali, Haiti and India. In this workshop you'll get to participate in assembling a 65 Watt PV module, utilizing the encapsulation process, developed in Nicaragua with Suni Solar and Grupo Fenix, or using the new Solar Oven lamination process with EVA sheeting! Depending on the number of participants, we will be making one or more 65 W modules, which are for charging 12 V battery systems (or in pairs, 24V) and thus are a good start for a small home or cabin PV system. John Burke, of DADS, Inc., will be co-facilitator. John has had many years of experience working in the solar field and has worked with the ARC Center in Harlem, NYC, developing a program to manufacture UL approved PV modules. Rich Komp or other experienced MESEA workshop facilitator, may be co-facilitator. Come to Nicaragua and engage your head, heart, and hands in the real work of developing countries. Our hands-on courses allow you to be immersed in the daily life of rural Nicaraguans by living with host families and working alongside local community members to create their vision of a model community, through renewable energy and sustainable practices. Discuss the theory behind solar energy and the challenges of development with your instructors and other course participants over lunch. Spend your days learning how to construct solar cookers or install photovoltaic systems. Laugh along with your host family as you try to recall your high school Spanish, balance water on your head or make tortillas. Most activities and classes are held in the new adobe Solar Center. Housing will be simple, like that of a typical rural Nicaraguan family. Explore a beautiful country and its culture, while learning about renewable energy and sustainable development in the field. Our courses provide a unique travel experience that is educational, rewarding, and fun! This 11 day course, offered twice a year, has been offered by Grupo Fenix since 1999. It is a great introduction to the science and use of appropriate renewable energy technologies such as solar cookers, dryers and photovoltaic systems. Dr. Richard Komp, an expert from the United States with over 40 years experience working with solar technologies, teaches the technical classes for the January version of the course and may be a guest instructor for the July course. Learn about solar cooking and eat the final product of your class! Also, the course includes various tourist activities such as a visit to nearby beautiful spots in the mountains of northern Nicaragua. If weather permits, we will spend a day exploring the Somoto Canyon and swimming in its natural pools. Also, at the end of the course we will spend a night at a rustic eco-lodge in the Tisey Nature Reserve, which has hiking trails, fields of organic vegetables, a farming community that produces its own specialty cheeses and one of the best panoramic views in the country. The course fee of $995. includes all food and lodging, with a $50 deposit to be sent to the nonprofit Skyheat Associates at PO Box 184, Harrington, ME 04643... to insure a place in the course, which has a limit of 15 participants and is often completely full. For more information, please contact: thegrupofenix@gmail.com or sunwatt@juno.com, or look online at www.grupofenix.org, for details of all our programs. Wolfe's Neck Farm - Freeport, Maine - PV Training for trainers- June, 2009. Participants prepare 3 x 12 strings for encapsulation, under the watchful eye of Rich Komp. WNF, Freeport, ME, June, 2009. Six 65W PV modules installed at Wolfe's Neck Farm, Freeport, Maine. These modules power facilities in the work shed. The high school students in the "Green Energy" Program assembled the PV modules, Summer, 2009. Solar participants at Brooklyn Commons PV workshop, setting up strings of solar cells for encapsulation. The CitySolar group hosted the workshop, and 15 folks with diverse backgrounds had the hands-on experience and opportunity to learn how a PV module works. April, 2011. Solar PV workshop participants, April, 2011, pose for group portrait. PV assembly seminar presented by MeSEA & John Burke, at the Brooklyn Commons space, we thank Otto, who came to workshop from North Carolina, for the photo. (That's him on the right). Solar PV assembly workshop participant, soldering a string of 9 cells for 65W PV module. April, 2011, at the Brooklyn Commons, NYC. Photo by Otto, workshop hosted by CitySolar. 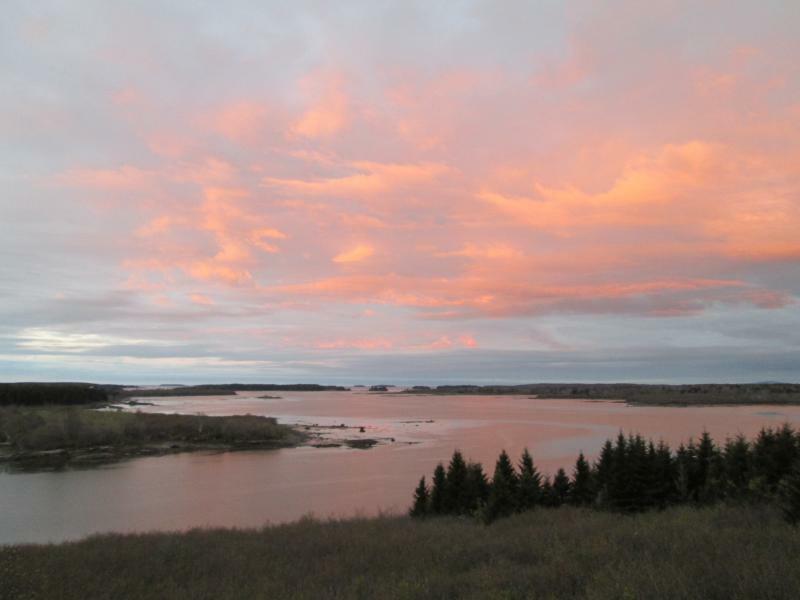 Sunset, looking SW off the deck at the MESEA Solar Home, Jonesport, Maine ... 2014 ! Update ! 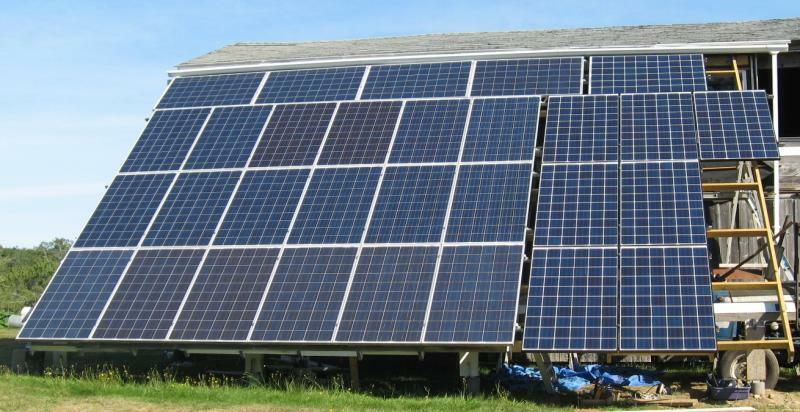 humble Farm, St George, Maine, adds more PV modules (30), to the Grid-connected solar array, on the home-made rack off the chicken house, 2015 ! Thanks humble Farmer ! Please feel free to ask questions on our Solar Community Land-trust development program or this site. We'll respond promptly. 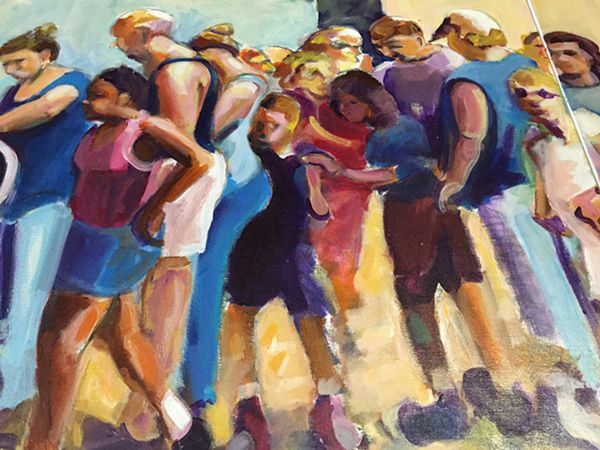 A painting showing what we need ... People, actively working to save the Earth for the future generations ! Our efforts will shrivel up and die, except for the younger folks with the mind to continue for a future ! Let's get it together, thank you ! 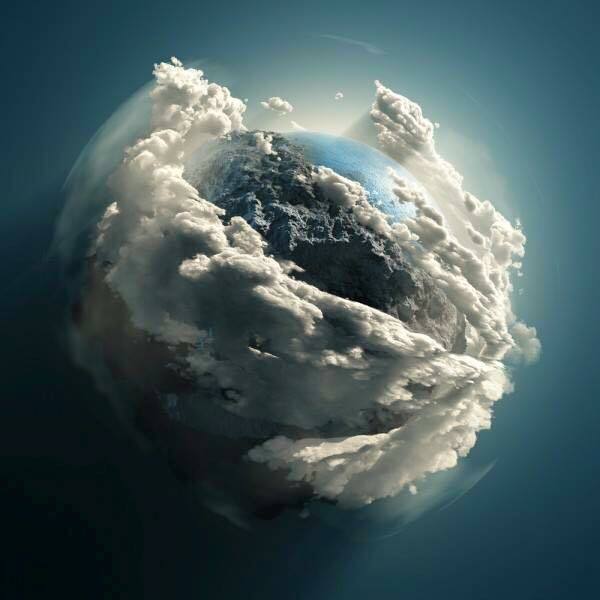 A peaceful place, or so it looks from space ... the Earth from the Hubble telescope view, via NASA ... and will we manage another century ? People motivated for Change and Democracy ! 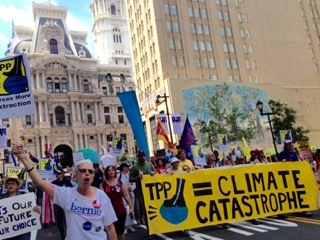 Take to the Philadelphia streets, July 2016 ... Marching for a future and Climate Action ! The Democratic National Convention was ongoing ! Here Is the 'Contact Us' form for easy communication for DADSolar & MESEA PV Assembly Workshops Winter, Spring & Summer 2019 ! Copyright 2008. All welcome to rights!